Technology is rapidly making inroads in the media planning and buying side of the business with the growing use of programmatic media buying. Programmatic buying tools utilise data analysis and real-time bidding to maximise ROI for online display, social media advertising, mobile and video campaigns. It is expected that two-third of the world’s digital display advertising will be traded programmatically by 2019 and advertising sold programmatically will increase at an average rate of 21 per cent a year. With this, there is the need for media as well as marketing professionals to upgrade their knowledge regarding using technology to automate and optimise the ad buying process in real-time. With this objective in mind, Mumbai-based Digital Marketing Training Institute (DMTI) has introduced a Certificate Program in Programmatic Buying & Planning. The 6-day hands-on program uses a Programmatic Buying Simulator that allows participants to actually create a media plan and implement it end-to-end. The program is slated to commence from May 2018. This Certificate Program has been created for media and marketing professionals of all career levels across media buying, media planning, strategy, and analytics. This includes coordinators, managers, directors, and executives. Speaking about the need for such a program, Putcha explained that there are there are no specific training modules available in the digital marketing industry today. People have been learning about it on the job and that’s how they have been buying and planning media. “Few years ago programmatic buying and planning became very popular and a lot of bigger and smaller brands who are trying to optimise media planning and media buying are now moving ahead with programmatic buying, but there is not a single training program that exists in programmatic buying,” she noted. The program is not limited to just theoretical knowledge, but provides practical training as well. According to Putcha, what makes the program stand out is that if offers a simulated training module. Once the course is over, the tool can be accessed by the students for about a month. Shedding more light on the simulated module, she said, “We have created a platform where people can login and use it to set up an entire campaign, monitor it, buy inventory and even do the bidding and all the strategising that is actually required to run a proper campaign. Thus, the simulation is the main key of this program.” “I believe, training without such platforms would be meaningless,” Putcha affirmed. 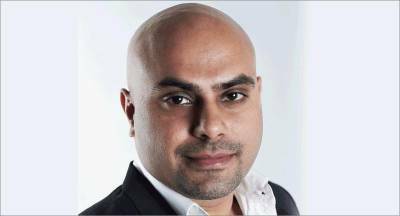 Sunny Nagpal, Founder & MD, httpool APAC, a leading platform for programmatic buying, will be the chief mentor for the Certificate Program in Programmatic Buying & Planning. Adding further, he said that DMTI had invested in a tech platform which allowed them to know how the system works in real time and how they could do completely automated media planning and media buying campaign. The major relevance is in terms of bridging the knowledge gap into processional evidence and making it more practical understanding. On Httpool’s association with such a program, Nagpal said, “DMTI has subscribed to the Htttpool platform. I have been running httpool since 2010 and we have been pioneering the programmatic perfection across all our markets, globally as well as in India. We were one of the two firsts talking about programmatic based of mind back in 2012 and 2013 in India already. Today, we provide solutions which work both on publisher and advertisers side. People do not know how programmatic works, the advertising agencies can actually bring down their cost by 50 per cent of what they are spending. If they learn to do it properly and learn to do all aspects in programmatic, targeting becomes also more relevant which reduces spill over and thus the cost comes down.